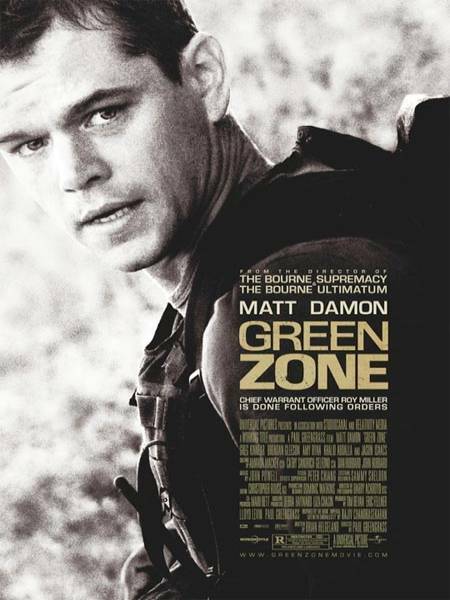 Officer Roy Miller (Matt Damon) is posted to Iraq to justify the US invasion by finding weapons of mass destruction. When his search proves fruitless, he begins asking tricky questions, and soon even his own side are out to kill him. Director Paul Greengrass (The Bourne Ultimatum) has always had an eye for hot topics: in the 80’s he wrote a book about an inside story of the M15 so explosive that Thatcher tried to ban it. In this film, Greengrass has combined politics and popcorn – the film provokes thoughts while it thrills with breakneck-speed action. Damon is perfectly cast; he’s playing a patriot, not a left-leaning hand wringer, but a soldier trying to do his duty and struggling with the malice and incompetence around him; and he shows not just the blows to his body, but also to his mind. This is an honest and smart blockbuster that dares to deliver on several levels.